Industrial Plastic Shredding Machine Rubber Crusher Price XIECHENG15HP/11KW Crusher for Plastic Industry 1.Suitable for recycling and restoring of all kinds of plastics, particularly for various hard plastics, such as blow molded products and shoe last, etc. With well-designed cutter base, the blades are capable of dispersing bearing forces and increasing cutting power. 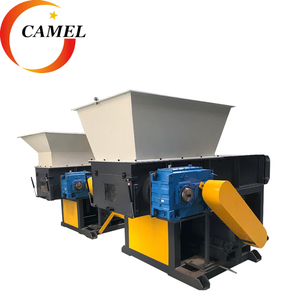 And fully designed with electrical safety devices and double wall hopper and soundproof material, the machine is of safety and environment concerns with low electricity consumption and long durability. PNSS Industrial Waste Fishing Net Shredding Machine Aluminum Can Shredder If you have plastic in various shapes and sizes and you need to turn these scrap materials or components into a commodity that can be recaptured for use in your manufacturing processes, then our plastic shredder machines are what you need. It doesn't matter if it's small PET bottles, PVC, vinyl, plastic containers, long strips, purgings or a host of other sizes and configurations, getting it down to a manageable or reusable size is one of the first steps in the reclamation and recycling process. The equipment needed for this initial size reduction varies depending upon the plastic being reclaimed. Offering High-quality products and first-rate service, we are sincere to do cooperation with all new and old customers for mutual benefits and a bright prospect. 2. 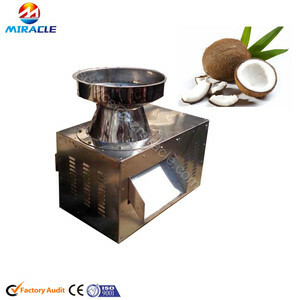 Uses Japan's high quality steel material especially for making cutter of the crushers, . 2. Our factory provide machine testing when customer come to our factory to see this machine. Guangzhou Xucai Environmental Technology Co., Ltd.
Changshu Shouyu Machinery Co., Ltd.
Wuxi Spark Energy Equipment Co., Ltd. The blade is made of special steel through heating treatment with long life. It can be changed easily and can be reused again through repairing. Low speed and high torque design make low noise and little dust. Dongguan Sanyue Foam Machinery Co., Ltd. 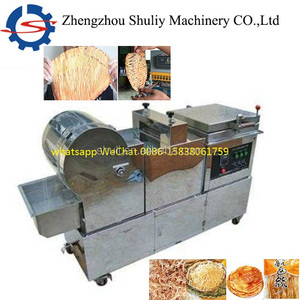 Product Name SYFS - 35.5KW 35.5KW Strong Foam Shredding Machine The strong foam shredding machine adopts imported cutter tools, bearings etc, mainly for crushing sponge foam scraps, cloth waste, fabrics others into small granules. 4 line stationary cutters and 3 line rotary cutters, strong crushing ability, whether hard, soft, film, yarn materials can be quickly crushed, widely used for all kinds of large-scale plastic products, bulk materials and pipe rugged, high productivity. Specifications Model SYFS-35.5KW Output 500-800kg/h Feeding Inlet Size 550 x 300mm Rotary Cutter 3 lines * 1 set Stationary Cutter 4 lines * 1 set Crushing Granule &ge; 2mm Total Power 35.5KW Machine Weight 1650KGS Machine External Size L2000*W1700&times;H2000mm Accessories 3 PCS of Sieve Screens, With a Set of Cutters (7PCS). Henan Mingxin Import And Export Trading Co., Ltd.
2. We will remind you before boat arrival Three ways we can offer service to you include: 1.Our equipment is designed for ease of maintenance. We also provide assistance and spare parts to support you on the phone,and on the internet. Necessary training about machine daily maintenance to local workers is provided also 3.The equipment can also be sent back to factory for a full evaluation and rebuild. 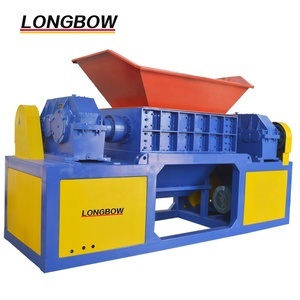 Zhangjiagang Horse Rider Machinery Co., Ltd.
Two shaft shredder is used for big size plastic block, lump. 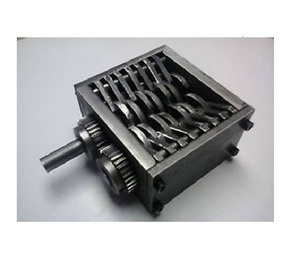 2 single shaft shredder for plastic lumps,board. No. 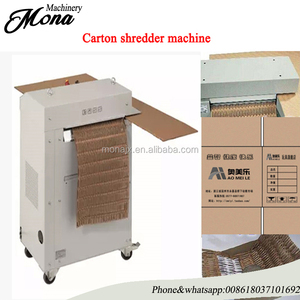 4 Double shaft shredder for Papers,carton boxs,books No. ENERPAT is the UK baded company located in London B. ENERPAT is the SGS certificated company C. ENERPAT have the USA, UK, Australia, Germany company, and more than 450 agents D.
Shenzhen Maps Industry Co., Ltd.
2.The cutter adopts famous brand with precise manufacturing and is ultra solid and durable,and is capable of easily crushing various soft and thin film plastic. 5.Adopt electric control safety design,motor is installed with overload protective and power,supply interlock protective device for prtotecting the motor,cutter and operator. 6.Mature manufacturing technique,main parts such as machine body and cutter frame adopt integrated processing for assuring high precision . Zhangjiagang MC Machinery Co., Ltd.
Guangdong Tongsheng Automatic Technology Co., Ltd.
32 year China Mini Small Bottle Shredder Plastic Shredding Machine for home 1. 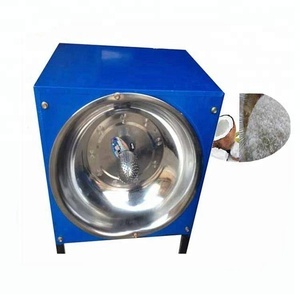 Crushed material for Mini Small bottle shredder Plastic Shredding Machine for home: all kinds of plastic material, like bottle, sheet, film, and so on. Q: How long is your delivery time for Mini Small bottle shredder Plastic Shredding Machine for home9 A: Generally it is 5-10 days if the machine is standard requirement. Q: What is your terms of payment for Mini Small bottle shredder Plastic Shredding Machine for home9 A: Payment=1000USD, 50% T/T in advance ,balance before shippment. 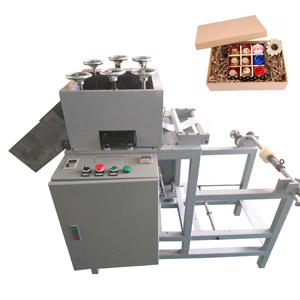 Dongguan Suteng Packaging Products Co., Ltd.
Alibaba.com offers 35,905 shredding machine products. About 46% of these are plastic crushing machines, 3% are crusher, and 1% are shredder. A wide variety of shredding machine options are available to you, such as waste plastic crusher, bottle crusher, and plastic pipe crusher. You can also choose from single, double. As well as from pp/pe, pet, and pvc. And whether shredding machine is free samples, or paid samples. There are 35,828 shredding machine suppliers, mainly located in Asia. The top supplying countries are China (Mainland), India, and Taiwan, which supply 98%, 1%, and 1% of shredding machine respectively. Shredding machine products are most popular in Southeast Asia, Africa, and Domestic Market. You can ensure product safety by selecting from certified suppliers, including 6,784 with ISO9001, 4,831 with Other, and 371 with ISO14001 certification.